Ian Giffen CA, FCPA, CPA, CF on managing crises, SEC investigations, joining boards and giving back to communities. What happens if your new company is heading for a crash on the rocks? Why have tax cuts resulted in lay-offs and shareholder rewards? 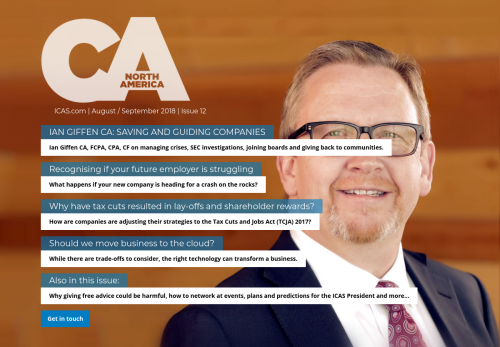 How are companies adjusting their strategies to the Tax Cuts and Jobs Act (TCJA) 2017? Should we move business to the cloud? While there are trade-offs to consider, the right technology can transform a business.